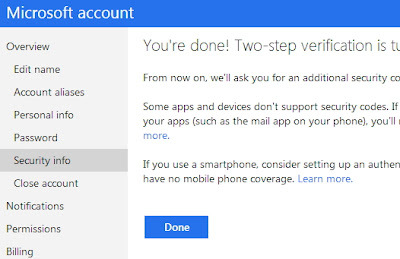 Microsoft recently launched two authentication system for all Microsoft account to give more security to your account. 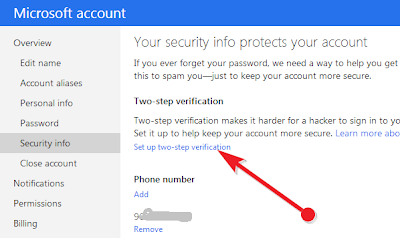 Two-step verification helps protect your account by making it more difficult for a hacker to sign in,even if they've somehow learned your password. If you have turned on two-step verification, you have to enter a security code to every time you try to sign in new device. Login to your Outlook.com then go to Account Settings ==> Security info, the\ it asks security code because you are changing sensitive info. Check your phone or alternate email for the code, enter it, and tap or click Submit. 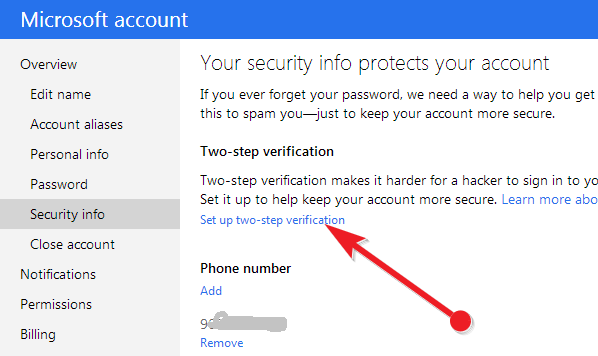 That's all you have successfully enabled Two step verification to your account. 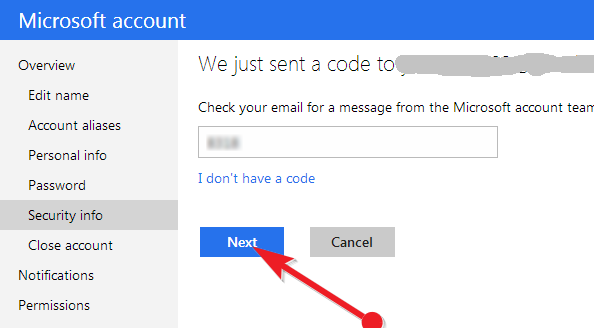 From now Microsoft will ask additional security code when you try to sign in. And also if you have Windows smartphone you can add authenticator app for your smartphone instead of above method.